Impressive build quality, very premium feel, and more space than you'll know what to do with. If you're tossing around the idea that the Model 3 is simply too small to store all of your cargo, you might be eating your words. Many of the attendees at the Model 3 event on Friday took full advantage of the test drive opportunities available and were able to see just how much room the car has to offer. First, let's take a look at a full test drive. As the cameraman enters, he is impressed by the amount of leg room for the front passenger. 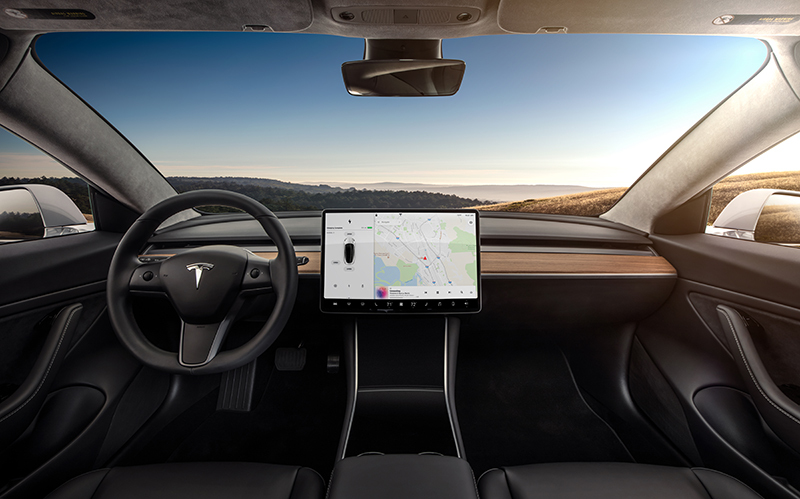 The Model 3 only has a single large 15" display right in the middle of the dashboard. It houses every single control, from HVAC, to speedometer, and can even turn on the backup can remain on while driving. The Tesla driver reminds the passengers that due to legal requirements, they can't watch a video on the big screen while the car is in motion. 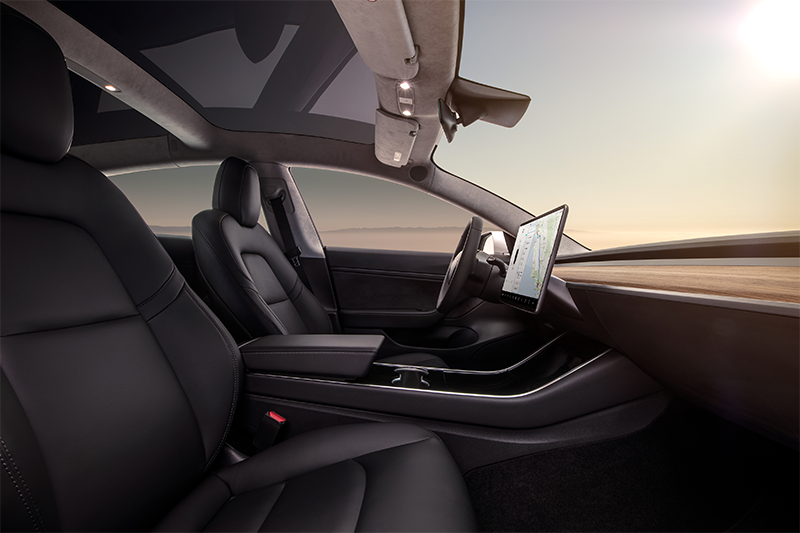 Each of the three passengers make claims that the vehicle feels much more high quality than anticipated, one even believes that it is more so than his Model S. The build quality is admired and the plethora of alcantara accents throughout the car give it a premium feel. As for storage inside the car, the center console is the most notable. The storage compartment appears to stretch from the front under the dashboard, all the way to back under the armrest, which is definitely something which the X and S doesn't have. This isn't as much of a compromise that I thought it would be. For a $40,000 price difference, we expected the Model 3 to feel a lot cheaper than these guys make it out to be. It seems like Tesla is really hammering down on the quality control issues that it has seen in the past. If Tesla continues to produce quality results while operating in "production hell" throughout 2018, most people will be thoroughly impressed by Tesla's ability to scale while producing a quality product. One last interesting tidbit was mentioned just before the video above is cut out. The riders and crowd confirmed that the key fob is indeed shipped without a card. Owners will likely exclusively use their phone and a small low profile RFID badge to operate the Model 3 in its entirety. Tesla took a lesson from the Model X and used its unique design to shape the rear of the Model 3. This allowed for not just spacious overhead room when coupled with the glass roof, but also a trunk that appears to be larger that most full size sedans. You can catch a quick glimpse of it before the cameraman is stopped from filming below. A Reddit users also happened to upload a video of the front trunk, or a Tesla likes to call it, Frunk. You can check that video out on Reddit to see the additional space made available in the room where most cars have a heap of cast iron or aluminum. Overall it seems like something you can go grocery shopping in, take the kids to soccer and football practice with their gear, and still have room for whatever else you're hauling around. 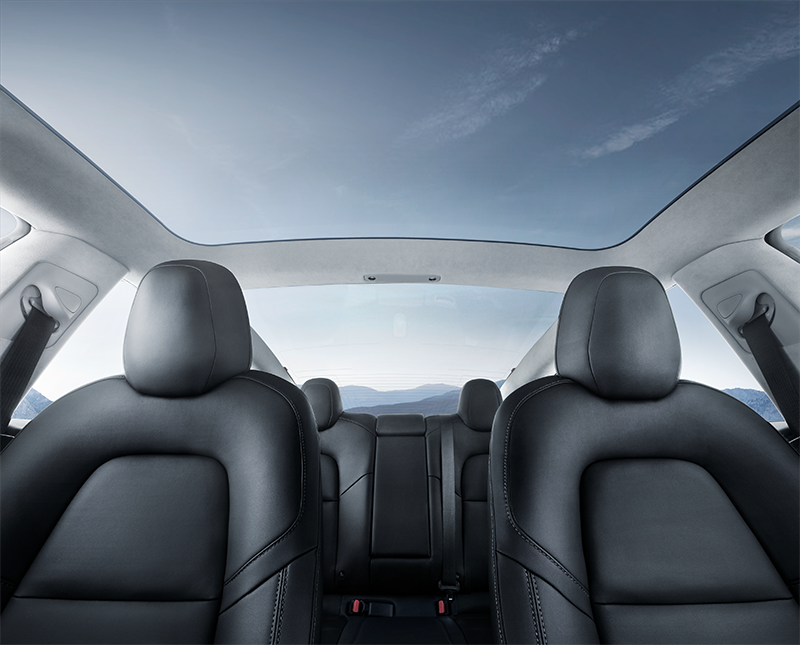 Because of the seat placement, coupled with the Model X-esque rear arch, the Model 3 feels huge. 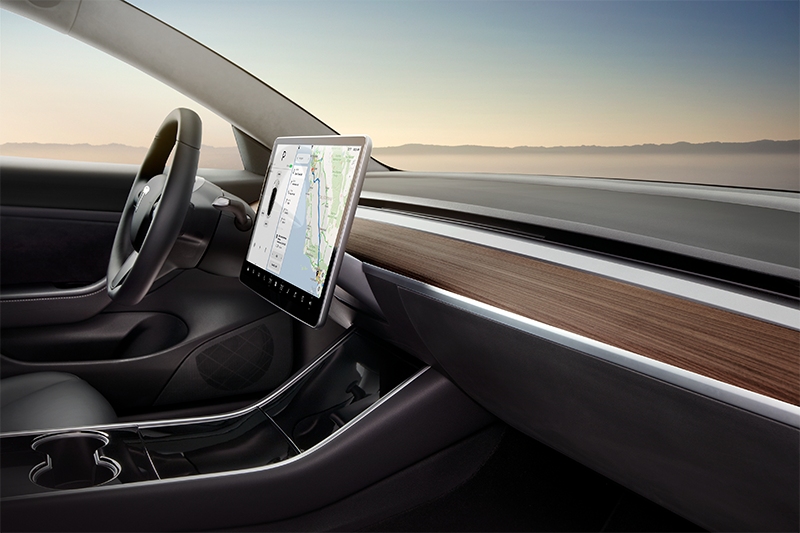 The drivers are moved closer to the front thanks to a smaller profile dashboard and offset display, and the rear passengers are moved closer to the back. 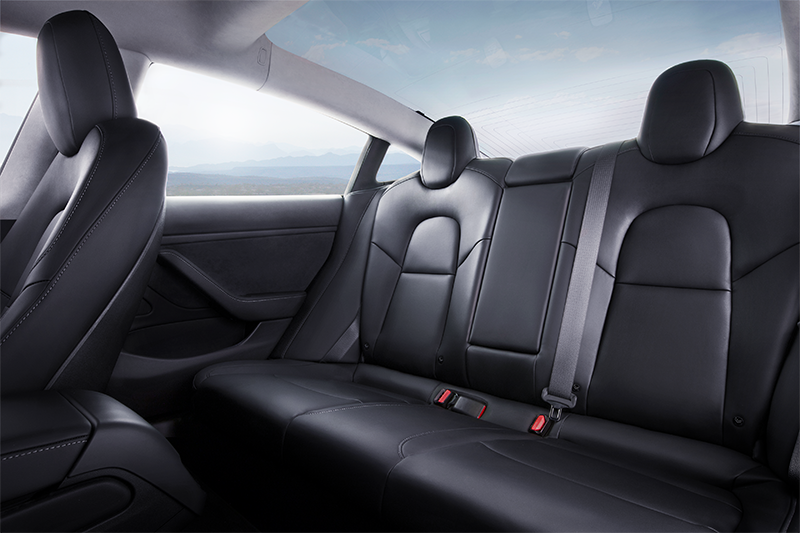 This allows for an insane about of room inside the car for passengers, while still keeping it the class of midsize sedan. It's a smaller car, but it doesn't feel like it on the inside. Overall, the Model 3 seems to be the car that everyone was hoping for. It's spacious, quicker than a Focus ST from 0-60, as well as feels both modern and premium. Starting at $35,000, the Model 3 might just be the car that tips the scales on mass produced electric cars. Hats off to Musk and his team. The wait finally comes to an end.